Kite flying is popular on this day so I made a tricolor kite. 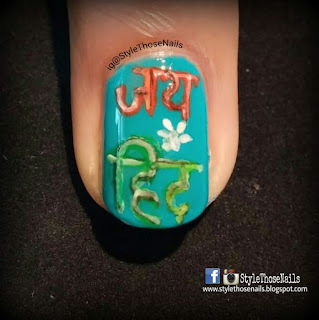 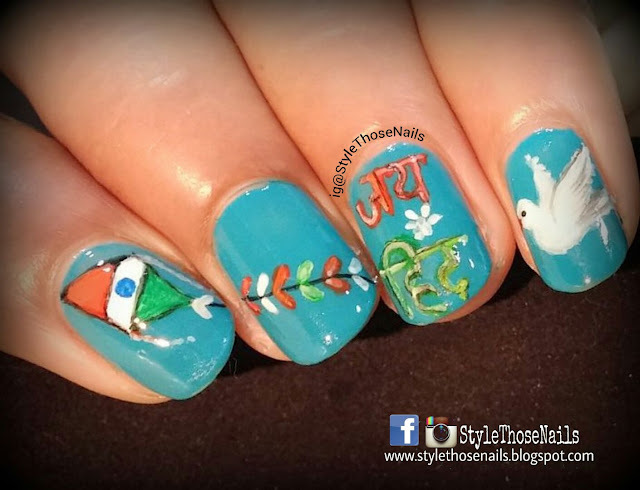 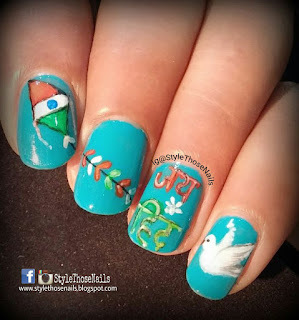 On ring finger I wrote "Jai Hind" which means "long live India" and on pinki I painted a dove which represents peace. 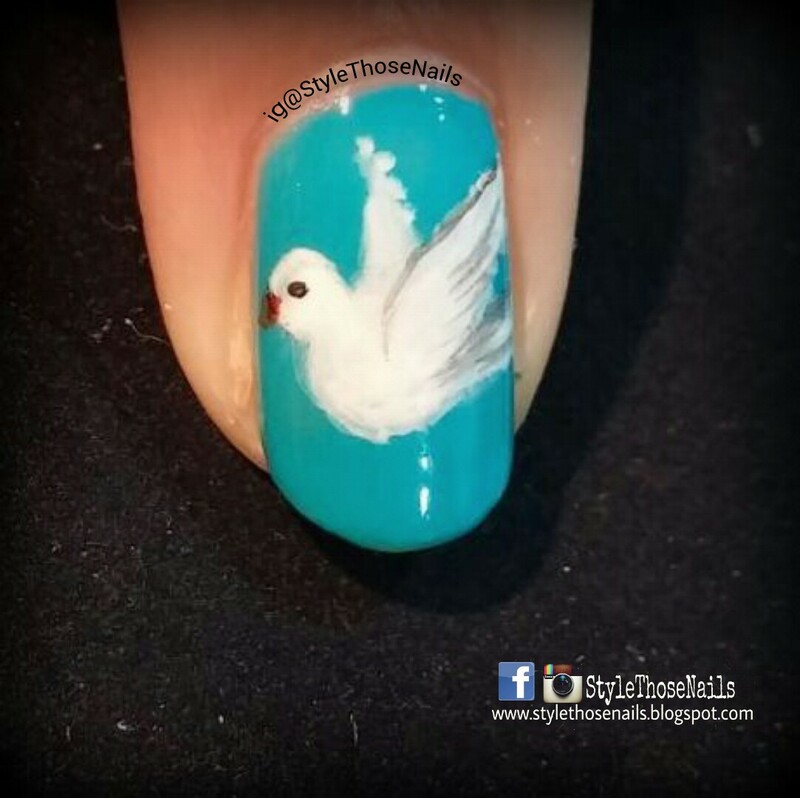 All done freehand using acrylic paints. Let me know your views !